Our high quality strong clear natural recyclable polythene bags are made from food grade virgin LDPE polythene. They are offered in a wide range of sizes and a choice of light duty 120g (28mu), medium duty 250g (56mu) and a heavy duty 500g (128mu) to suit your requirements. 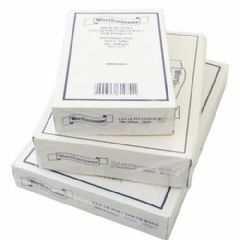 These bags are suitable for food use and are packaged in convenient dispenser boxes. They are easy to seal using a heat sealer or neck sealer tape. They are perfect for keeping food or components secure and dry whist still being visible through the clear polythene.